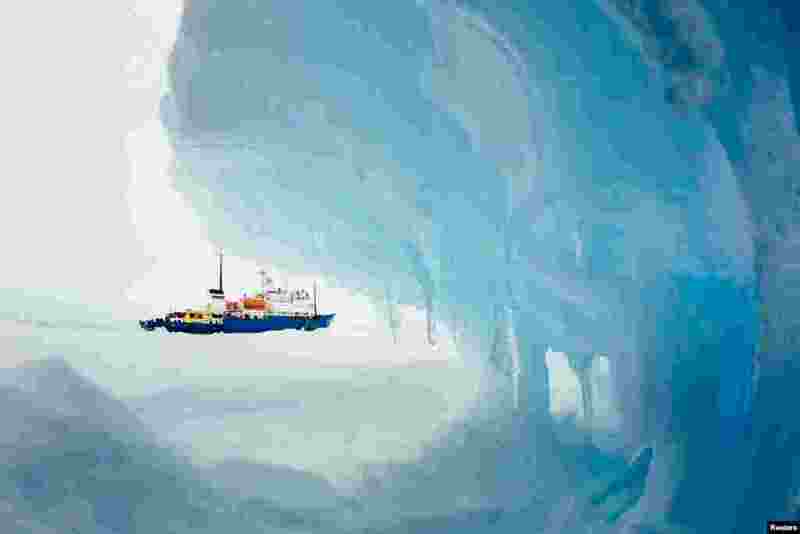 1 The MV Akademik Shokalskiy is pictured stranded in ice in Antarctica, Dec. 29, 2013. 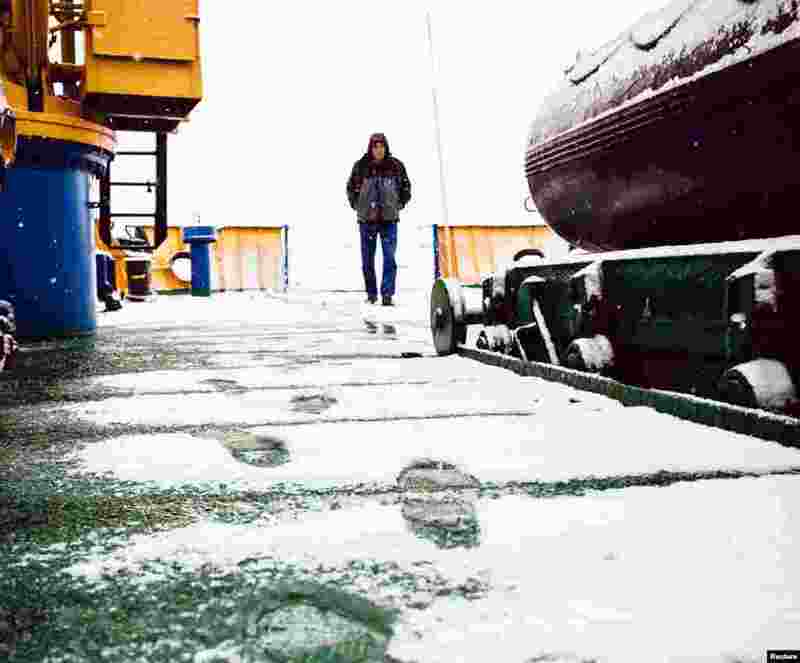 2 A crew member of the MV Akademik Shokalskiy walks on the snow-covered aft deck of the stranded ship in the Antarctic, Dec. 29, 2013. 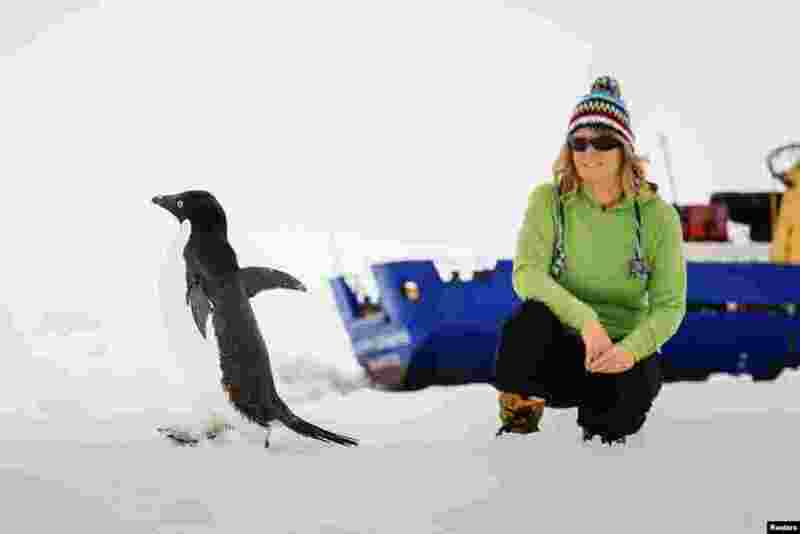 3 Barbara Tucker, a passenger aboard the MV Akademik Shokalskiy looks at an Adelie penguin walking by on the ice, Antarctica, Dec. 29, 2013. 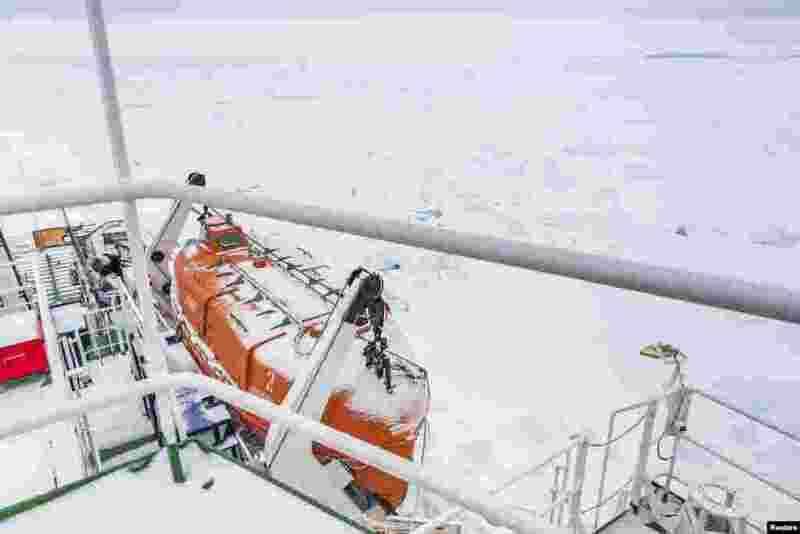 4 A thin coat of snow covers the deck of the MV Akademik Shokalskiy, Antarctica, Dec. 29, 2013.